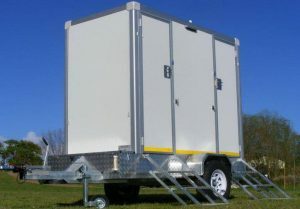 Looking for High Quality Mobile Loos? 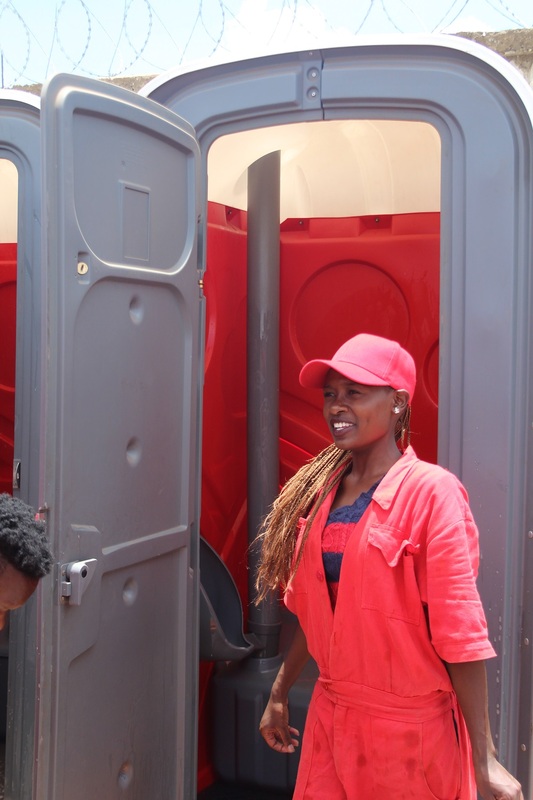 We rent clean, spacious, well ventilated portable toilets with reduced odors and an excellent user experience. 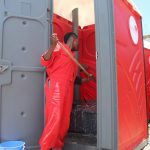 Our business is renting high-quality portable toilets for short term and long term sanitation needs in Nairobi. 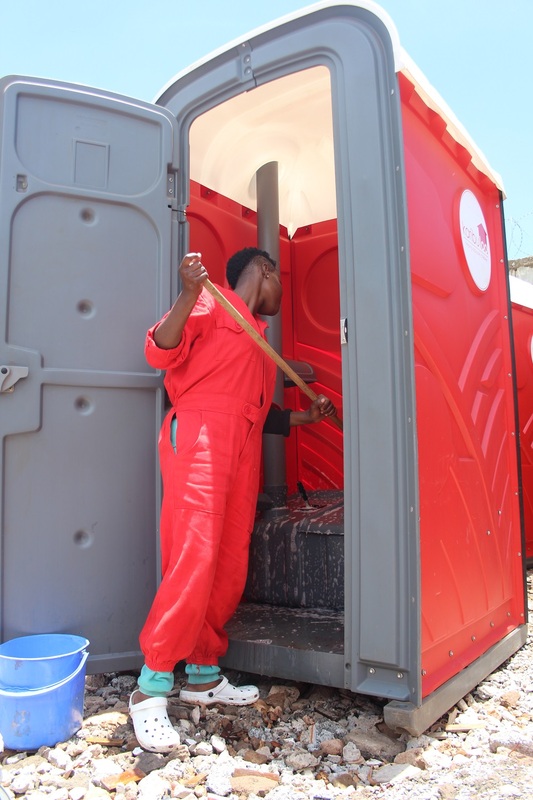 Our units are spacious, well ventilated, clean with reduced odors and an excellent user experience. Our team is on time and professional. Many are beneficiaries of the educational program. Together, these features produce a more comfortable, pleasant experience for the end user. 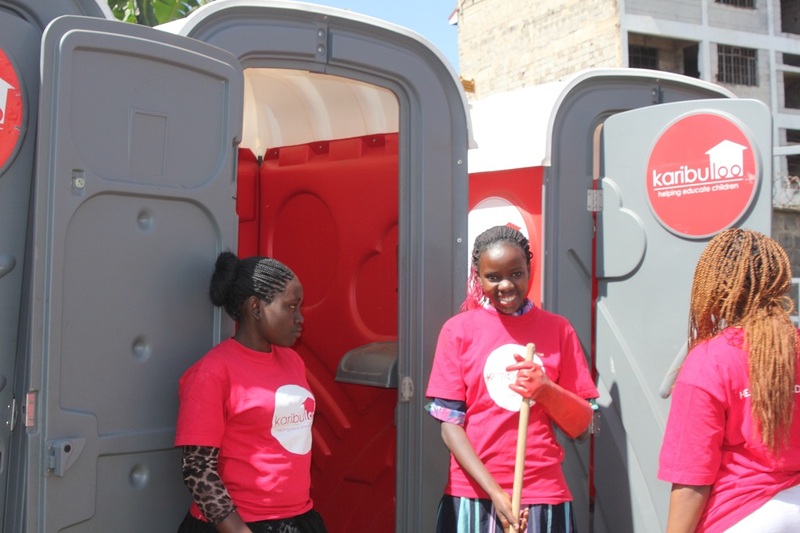 Karibu Loo was created to help solve two of the great needs of Kenya: better sanitation and providing education. 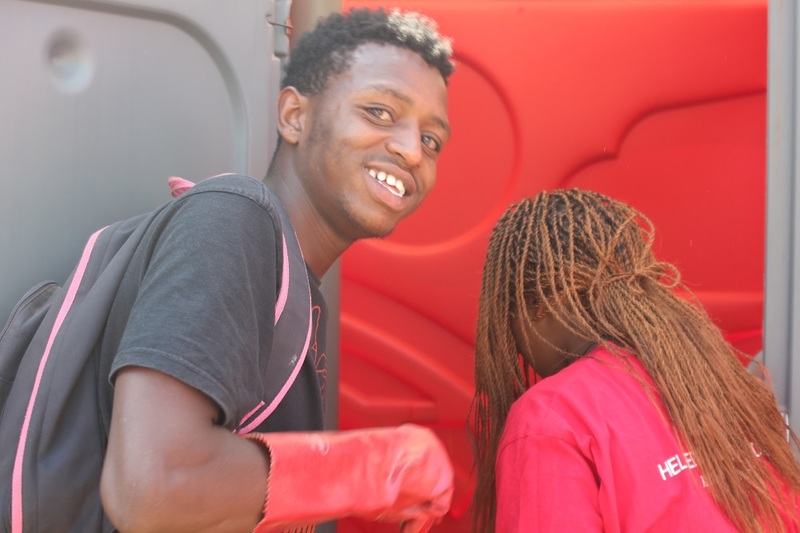 All profits from our sanitation business go to fund education and support for children in the slum of Dagoretti whose lives are affected by HIV/AIDS. 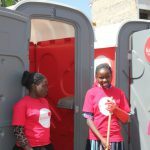 Profits are distributed through the auspices of the Ngong Road Children Association. Learn more about our socially responsible mission. 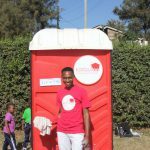 We use the Mondo portable toilet model from U.S.-based Satellite Industries exclusively. 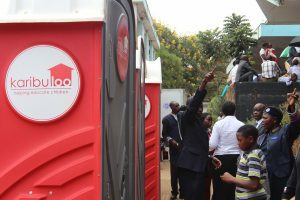 The distinct design of the Mondo loo is an attractive alternative to other mobile toilets. 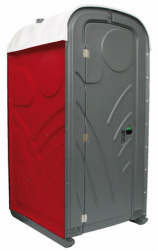 All of our units are presented in our vibrant red and provide many user advantages. They have a spacious, well ventilated interior to reduce odors due to simple, yet important features. A combination of floor and molded-in wall vents promote continuous air flow. The urinal drains down the vent pipe, which prevents unwanted tank odors from venting back into the cabana. The seat is positioned at the furthest point from the urinal, away from odor and user’s direct sight. Together, these features produce a more comfortable, pleasant experience for the end user. 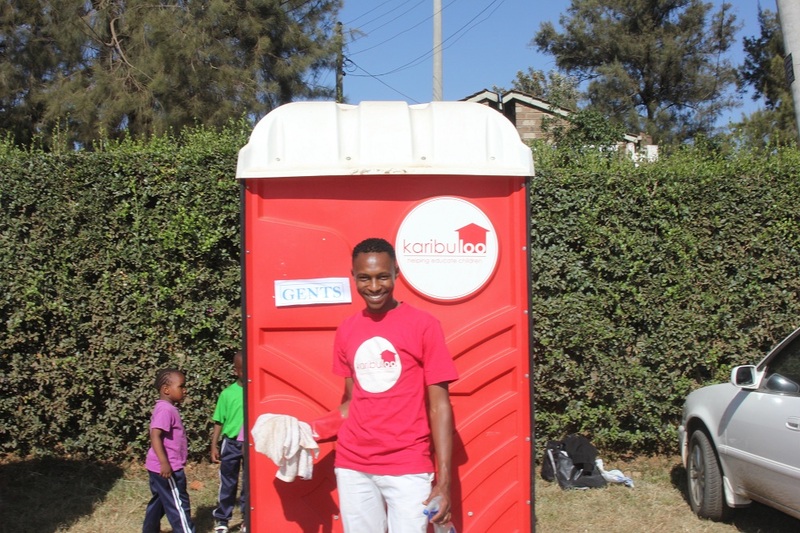 We have VIP loo options too!